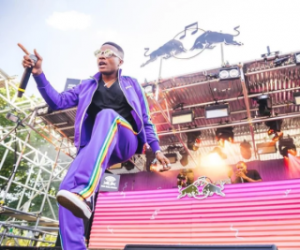 Award winning Nigerian music icon, Wizkid, whose real name is Ayo Balogun, has revealed that he is having health challenges and, therefore, has canceled some of his international shows. 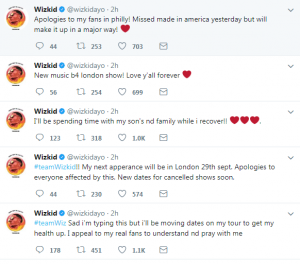 The singer announced that he would be moving the dates of his US tour due to health concerns. 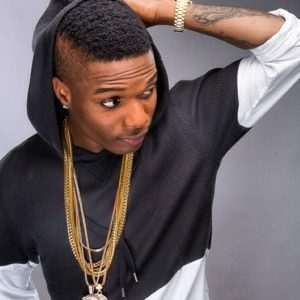 He was scheduled to tour the US this month and had shows in Chicago, Hollywood, Sugar Land, Toronto, and New York. 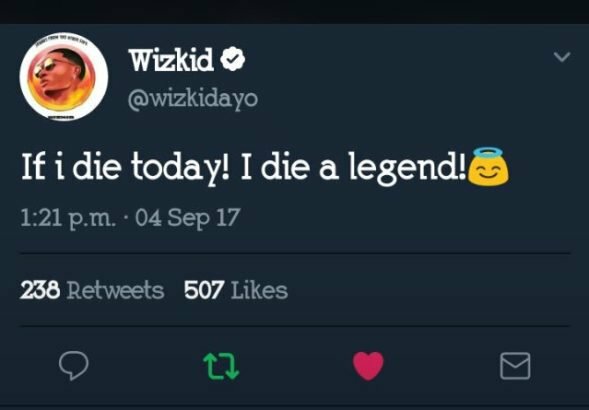 This isn’t the first time Wizkid will be postponing concerts due to the state of his health. 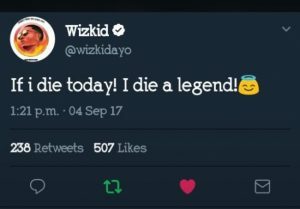 In December 2016, Wizkid canceled two homecoming concerts in Lagos after his doctors pressured him to stop performing, and fans voiced their concerns about his frail appearance. His next show will be on September 29, 2017, in London.